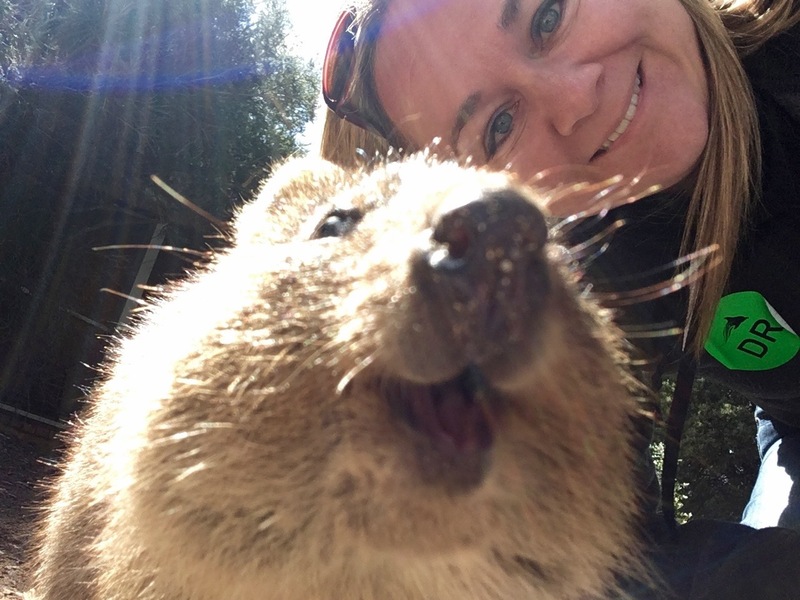 What’s great about these selfies is that the Quokka always appears to be hamming it up for the camera and even smiling. For this reason, they’ve become known as “The Happiest Animal in the World.” Granted, they are not actually smiling and, ultimately, they are still very much a wild animal, but there is no doubt that they are cute. However, they are also classified as a vulnerable species by IUCN which means that they could become endangered unless circumstances improve. 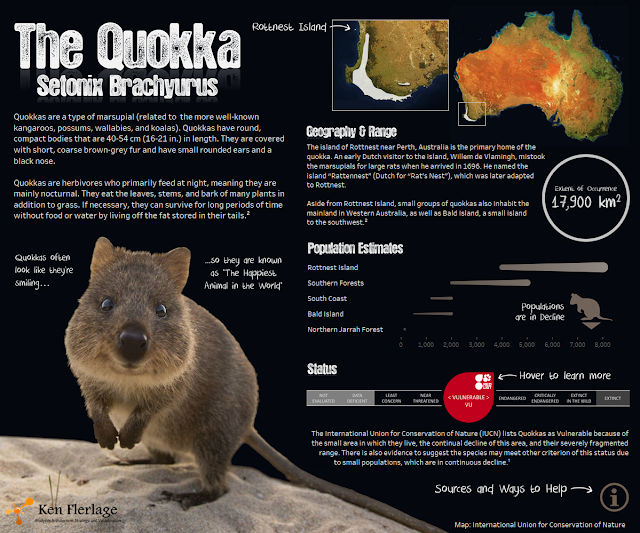 This being the case, I thought it would be good to create a visualization to provide some further information about the lovable Quokka and to help bring attention to nature conservation in general. Here’s the visualization. Click on the image or here to see the fully interactive version.